Comments: Trade paperback (US). Glued binding. 128 p. Contains: Illustrations. Audience: Children/juvenile. 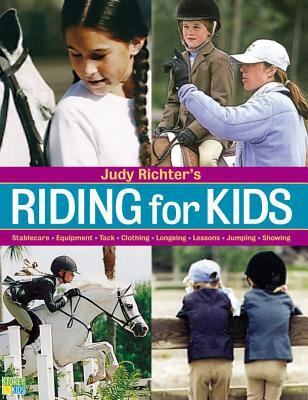 Judy Richter is a nationally known instructor whose students are consistent winners at major horse shows She is on the board of directors of USA Equestrian, a licensed "R" judge, and was a columnist for The Chronicle of the HorseRichter, Judy is the author of 'Judy Richter's Riding for Kids' with ISBN 9781580175104 and ISBN 1580175104. Loading marketplace prices 1031 copies from $0.71 How does the rental process work?